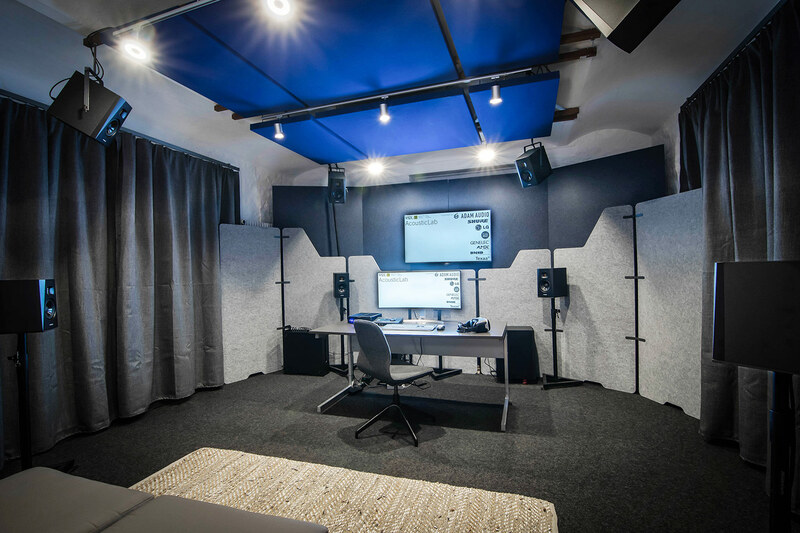 The WSDG AcousticLab is a state-of-the-art acoustic simulation room that uses advanced audio technology to reproduce the sound of a planned or existing environment using auralization. After appropriate data processing, the simulated sound field is reproduced via a three-dimensionally arranged loudspeaker system. This leads to an extremely realistic listening experience, which complements the dialogue between building owners, architects and the WSDG acoustic and media technology planners with quantifiable, audible perceptions, which on one hand compares the expectation levels and on the other hand significantly increases planning reliability. 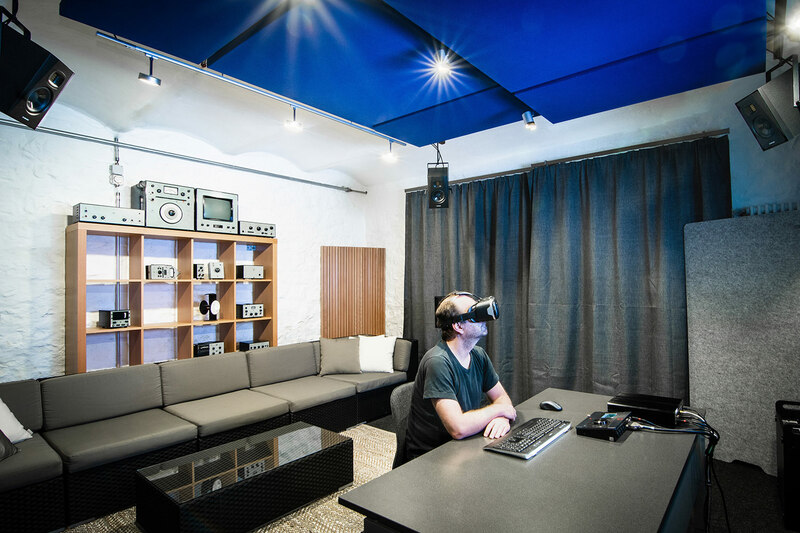 Depending on the project requirements, the acoustic simulation environment can be supplemented by a visual representation on a conventional display or by means of virtual reality goggles, whereby the visual representation follows the movement of the head while retaining the 3D sound field, which comes extremely close to an actual experience in the planned room. This technology has been successfully used for various projects, e.g. for room acoustic investigations of a chamber music hall, for electroacoustic observations of an ice arena, and for acoustic studies at a railway station construction project (room acoustics and electroacoustics, e.g. to check the intelligibility of public address announcements). The prerequisite for auralization is the presence of an acoustic simulation model from CATT Acoustic or EASE software, for example. This software can simulate the spatial and electroacoustic parameters of a room based on the geometry, the materialization and – if available – the loudspeaker systems. In many cases, this procedure is embedded in a planning process, which by means of iterations, allows an approximation to a parameter set that is considered optimal due to the project-specific boundary conditions. 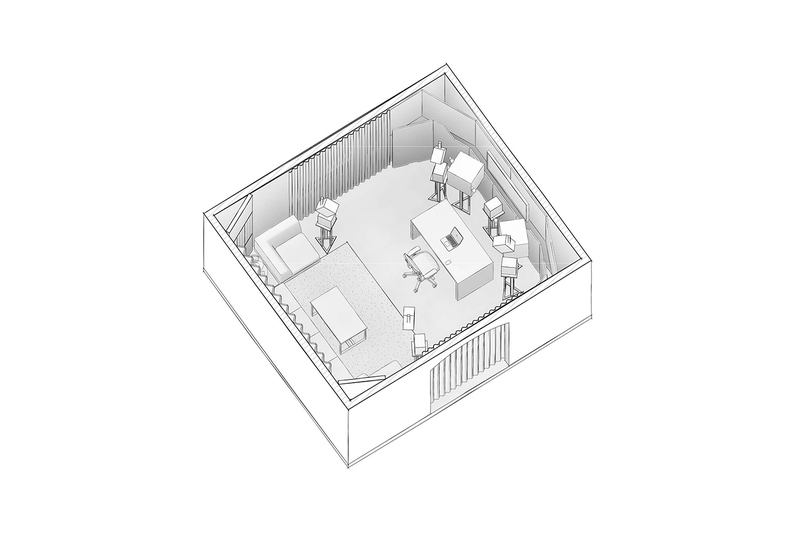 One of the essential results of the completed simulation process is the impulse response, an acoustic signature of the investigated room. 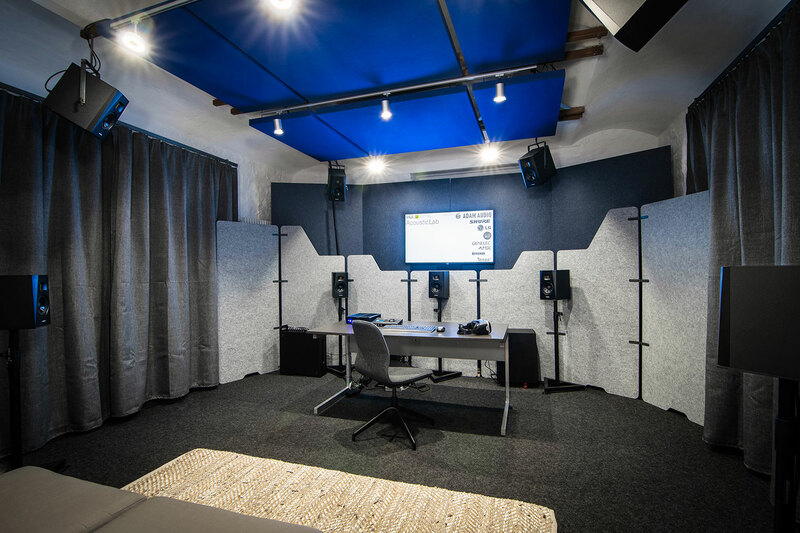 The impulse response is then specifically determined for a hearing geometry corresponding to the WSDG AcousticLab, including the correct allocation of acoustic signals from the side-walls and the rear wall to the respective channels in three-dimensional space. This multi-channel impulse response is now used to supplement an acoustically dry, i.e. reflection-free audio file (e.g. an excerpt from a specially created piano recital or a public address announcement) with the acoustic signature of the examined room by means of so-called convolution. Now the simulated 3D sound field is available as an audio sample. 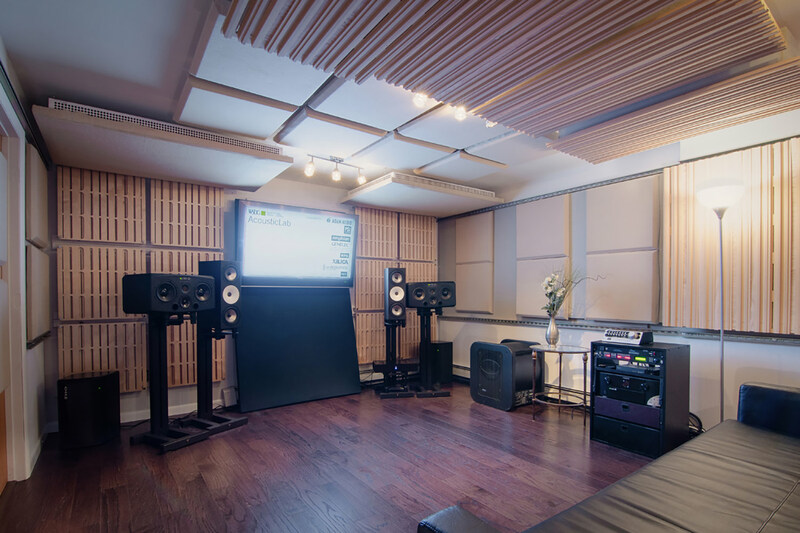 An important prerequisite is a controlled and efficiently absorbing room acoustic environment in the listening room. Undoubtedly, this result is already of great interest during the planning process. However, this application becomes even more exciting if different options of geometry, materialization or technical equipment are to be tested, compared and evaluated in a single project: A subjective hearing comparison is often more meaningful than a comparison of acoustic parameters in numerical form. 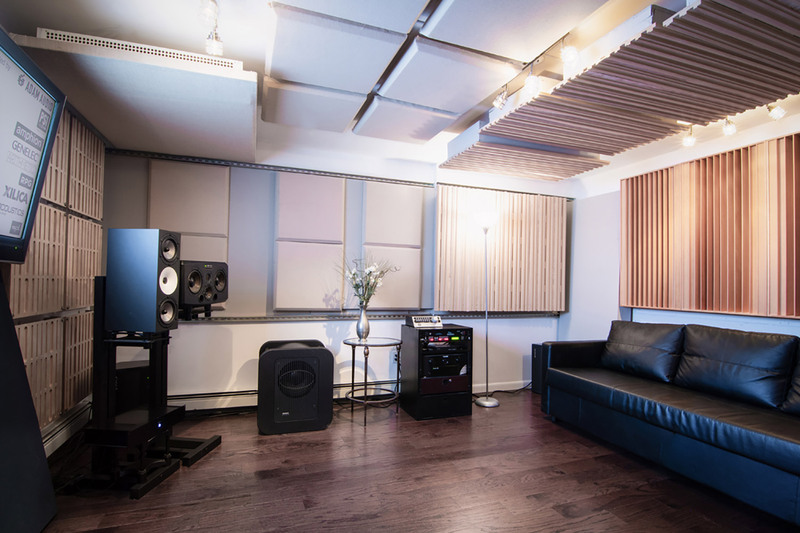 In practice, for example, different seat cushions, wall panels or loudspeaker configurations could be audibly compared, which in many cases would also have a high cost relevance.